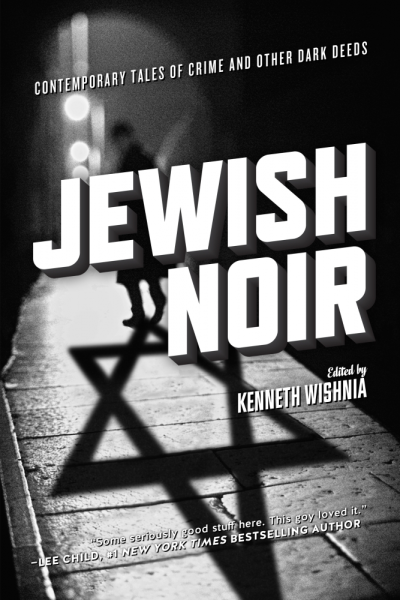 I’m delighted to have a story in this anthology of over thirty stories exploring the intersection of Jewish experience and noir sensibility. At first, when Ken Wishnia invited me to submit a story to the anthology, I hesitated. Most of my stories would never be called noir. They’re at the other end of the mystery spectrum: They focus on crime, of course—they are, after all, mysteries—but in most justice triumphs at the end, and there’s usually a fair amount of humor along the way. I’ve written some darker stories in recent years, though, and I felt pretty good about them. Crossing the line into solidly noir territory sounded like an interesting challenge. I’m glad I decided to do it. Among other things, it’s an honor to be in the company of such distinguished writers as Harlan Ellison, Wendy Hornsby, Robert Lopresti, Alan Orloff, Marge Piercy, S.J. Rozan, and Dave Zeltserman. My story, “Living Underwater,” is an academic satire. (All right, so I couldn’t keep the humor out completely. It’s dark humor. In a Jewish noir story, dark humor ought to be okay.) English professor Sam Meyer becomes consumed by hatred for an administrator who is ruining his professional life. Although he knows his obsession with her cannot end well, Sam’s incapable of breaking free. As a longtime English professor (and as the wife of a dean), I know how poisonous the pressures, frustrations, and silliness of academic politics can be. As for the story’s title, it’s taken from a Jewish joke. It’s a good joke. If you want to hear the joke, read the story.